What am I reading in March that is Inspiring? What am I reading that is inspiring? I am reading Tyrease Gibson “How to Get Out Of Your Own Way”. This book is awesome and truly inspiring and I can related to some of the chapters as they have you sitting back thinking about your life, your business,your dreams, and your vision, and your career. As I was reading his book, I decided to share some information from the book that is mind blowing and empowering. We all have been there or know someone who has been in the scenario or environment. Here are some tidbits to get out of your own way so that you can walk into your purpose and excel to having a better life. Are you a master of your environment? These of course are chapter titles that I actually make you think about your answers as Tyrese goes into details and use examples. I can honestly sit answer these questions with ease because all these questions are apart of growning so that you can go to the next level. I love me enough to eliminate negative people out of my life who are not adding value to my life. Now, I have heard the question a couple years ago regading who are your 5 people in your cirlce. I had to look back at the people in my life and truly examine those five people. I discovered my purpose 2 years ago and it’s been an amazing journey. It’s true when you walk into your purpose there will be some folks that you leave behind and some who will never understand your position or purpose. I relate Tyrese’s bottom line with, what’s your tolerance level. As you mature, your tolerence for ignorance, bull crap, negatie energy and negative talk from people will have a zero tolerane. It’s important to surround yourself with people doing what you would love to do or trying to get into. More to come on this book and getting out of your own way. That wonderful friend some call Self-sabotage creeps into opportunities that cross your paths. It’s time to get out of your own way so that you can have a better life. I have 3 chapters left and this just hit my heart. 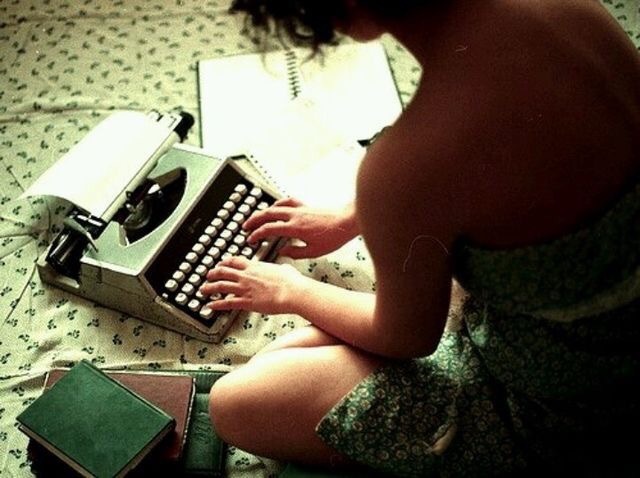 You know when it comes to you, one must keep writing. Think about the questions above? Can you honestly answer them? What am I reading in 2016? What am I reading in 2016? I decided to create a list of books to read each week that will be fun, beneficial to me as an author, a business woman, and catch up on some of my favorite authors and read some new authors of interest that I had the pleasure to interview. I figured I create categories lists that I can add my books of interest to and I am excited about this list. 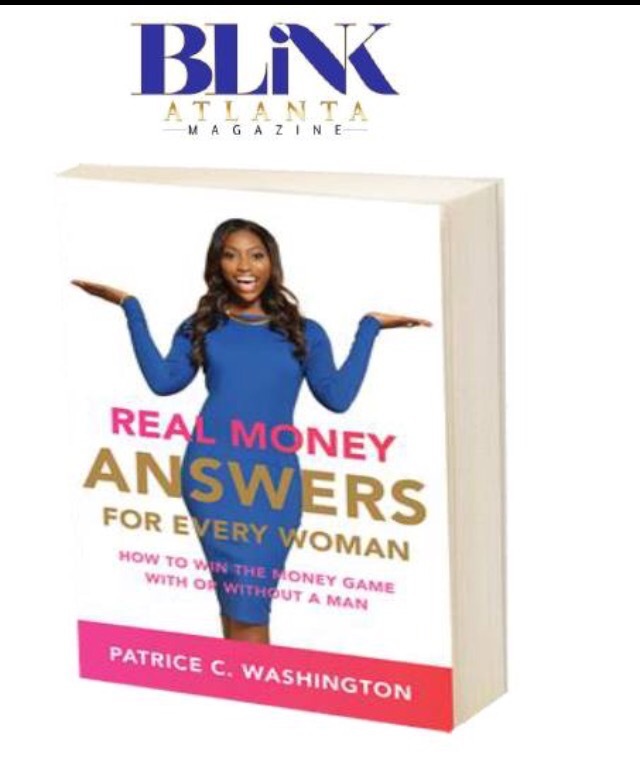 I finished reading Patrice Washingtons Real Money Answers For Every Woman and it was truly a great read with a wealth of information, knowledge, testimony, exercises, and questions that you can think about, implement, and practice. It all starts with changing your mindset so that you change your practices and view about money and wealth. Here is half of my list for 2016 and yes a few rolled over from 2015 that I didn’t get to since I am writing across platforms. This year will be better managing of my time for writing for myself and reading. As a writer and new author, I find that reading is important. It aids in the creativity of the writer and allows you to enjoy the stories of your favorite authors, new authors, and writers who have influeced you. Now where would I be if I didn’t mention the business novels that I am reading that will truly be beneficial and an added value to my business. I have more to add especially from some of my favorite authors like Brenda Jackson, Terry McMillian, and many of the new author’s that I have discovered through my author’s showcase on Sistah’s Place Entertainment blog. Look for part II of what I am reading in 2016. What’s on your list? It started out as freelance job opportunity and then to managing three blog platforms. Then it came to me, why not give birth to the dream and give the freelancing a business name. I sat down wrote the business plan and purchases the domain. It became real for me as I was completing project after project as I defined my business thru my business plan. I saw a need and purpose to launch this business brand as I interviewed authors and directors in the entertainment and publishing industry. The grand opening will be 2-1-16. The website is up but will be fully operational as the final pages will go live by end of January. I am targeting mid-January with pricing packages available. I am currently building our client list before grand opening and promoting the business across my current platform. These services are being offered to authors, publishing companies, directors, film production companies, actors, actress, and theatrical productions. Check out the Facebook page where I am promoting services and you can inquire on packages and services offered. I will have more social media channels on Twitter, Google,Instgram, and LinkedIn in the coming weeks. What a way to end the year with the launching of your own media business that your blog platforms will benefit from as well as me an an published author. Welcome to Q&A with Letrise Carter a new author writing my first novel and business woman that is purpose driven. Being a woman with big dreams and big vision creates opportunities in a wide area to do nothing but greatness. I am woman who firmly believes in chasing your dreams with an executed plan, goals that are driven by dates, and mentors who are willing to teach, guide, and be a resource of knowledge, inspiration, and motivation. Below are a few questions about the author in me. What is the name of your debut novel? The name of my first debut novel is called Deceitful-Playing with Fire. When can we expect the novel to drop? I am anticipating the novel to dropping late Spring 2016. The story is about a woman name Taylor Jackson who is married to a bad boy Devin Jackson who still trying to find his place in his father’s company. While he is extremely handsome he can’t seem to keep his eyes and hands off other women. His brother Kelly is Taylor’s best friend from high school and college and he is always getting little brother out of trouble. She confides in Kelly about everything and one night they unlock the doors from their past that Devin is not aware of. That one night unlocks feelings that Kelly has always had. It’s filled with drama and twists that will have you fall in and out of love with Devin, Taylor, and Kelly. I kept writing and allowed the characters to choose the title for me as the story unfolded. What genre do you prefer to write? I enjoy writing romance with plots and twists that keep my audience intrigued in that story. My inspiration for writing is life experiences, dreams, and friend’s love/drama stories. Are you publishing thru publishing company or self-publish? I am self-publishing my first novel while searching for literary agent for future projects. What made you decide to write your first novel? I have wanted to write my first novel for at least three years. I use to write short stories back in high school and college. My dream of being a writer got deferred when I became a mother. But then a year and half ago, I started blogging and that pushed me to share my stories. Another factor that fused me to writing my first novel was attending and listening to writing seminars in being an author with Nikki Woods’s telecom series “BeAnAuthor”. It was great inspiration and very informative. What is it about writing that you enjoy and love? I love being able to express my thoughts and feelings. It allows me at times to escape and allow my imagination to go wild. Do you plan to write more novels? Yes, I do plan to write more novels and be a part of a few collaboration projects. It’s funny that my background is in accounting but it started in journalism/writing. The last 20 years, I have spent it in Accounting. I have a Masters in Financial Management & Accounting from Keller Graduate School of Management with a Bachelor Degree in Accounting from Lakeland College. What else can we expect from you as an author, freelance writer, and business woman? There are some great opportunities coming down the pipeline for me as a writer, author and business woman. I just launched a new business called Sistah’s Creative Media and working on novel collaboration with another author. After Deceitful-Playing with Fire, I will start working on my next novel “Broken”. 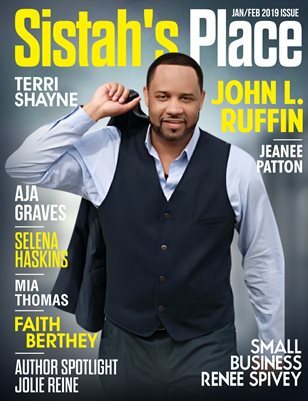 Meanwhile, continuing to interview guests for my Sistah’s Place Entertainment Blog and promoting my novel. Being a new author, it’s always great to gather resources that are beneficial to yourself! I love sharing information because so many have shared valuable information with me especially websites and services to help authors like myself promote and market their books to bigger audiences and platforms. I have compiled a list of resources that are truly benedicial that I am incorporating into my marketing strategy for my upcoming novel and blog platforms. I am learning that it is important for an author to have a website and blog. It’s about building and developing your brand, growing your audience, and investing in yourself. We need more than a marketing strategy but a social medial strategy. The goal of an author is to build, grow, and maintain your audience. It’s to engage with your readers and interact with them. It’s a great feeling when authors share vital information that can help you become a better writer and best-selling author in your genre. What I find interesting about the authors that I interview is how theyengage and interact with their audience. I have asked how they grow their followers and subscription list and most have said, engaging with their audience on their various platforms and doing book giveaways. Finding out where your target Audience hangs out is important. Along with having a great marketing and social medial strategy has helped them to grow. Marketing your book is going to be key to your success whether you do self publishing it or go through a publishing company. Did you find this information helpful? Will have more resources for bloggers and as authors we should have a blog. As I learn of more resources I will share the wealth of information on my website here. 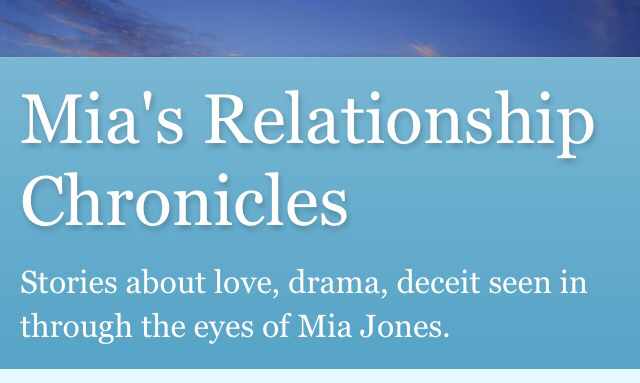 I have an authors blog that talks soley about relationships at http://www.myadiamonds.blogspot.com called Mia’s Relationship Chronicles. It’s fun way to talk about relationships from one of my characters alter ego. What would you like to know about me? I am sure many have read my about me page. However, that’s a summary of me. It does not give you a more in depth look at who am I,what I like, what are my dreams, and what is my purpose? Let me start with the introduction of who am I? I am woman, a sister, a aunt, a friend, and a mother. I am a writer, a business woman, a visionary, a boss, a queen, a child of God, and a big dreamer with goals that reach beyond the sky that stretch as wide as the ocean. What do I like and love to do? I like some of everything because I am unique. I love romance, I love black men who are ambitious, goal oriented, driven by purpose, and determined to leave his mark on this earth to be remembered in a positive light. I like being in control of my future which helps me to be a light For others. In faith and hopes that I am walking into my destiny to greatness. I like walks in the park and along the beach. I love cooking meals from scratch and being creative. I like baking sweet treats with my daughter and spending time at the spa, movies, or mall with her. I love that I have discovered who I am as a woman. I love my beauty inside out. I love reading romance, drama, suspense, and inspirational books. I love collecting knowledge about and on relationships, spiritual journey & walk, and finding your purpose. I love helping others. I like being a light to shine for others to share their gifts and talents. What are my dreams? I have big dreams that might be too big for some and too little for others. I dream of not just being a published author, but a writer who inspires and touches lives. I dream of being a business woman owning multiple businesses created to help, Inform, transform, and entertain. I dream of being a writer for major networks with hit television series like the Empire and Scandal. I dream of writing hit films that hit the big screen as number one. I dream of owning my own boutique for beautiful and curvatatious black women. I have big dreams with big visions that require commitment and dedication to rise to the top of your game. This is why I can look out at the ocean an see that it is never ending. It reminds me that my dreams can become real and expand accross the oceans. It reminds me that my possibilities can be reach because the sky is the limit. When I look out at the ocean, I see more than just an endless ocean, but depth of how far my dreams can stretch, reach, and grow. 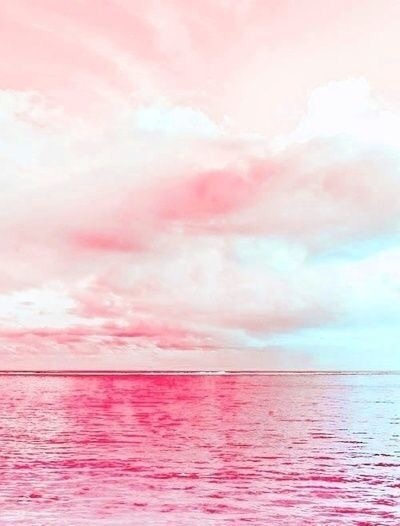 The picture of the ocean tells me I can go anywhere my Dreams take me. The possibilities are endless. Is it beautiful? It’s a journey I am excited to be on. What is my purpose? My purpose is serving others and being a light that guides, shines, and open doors to opportunities for others. My gift of writing stories about others will inspire dreamers to believe in their dreams and find their purpose. I have been blessed with many gifts and talents that I want to share with the world. To be the light for others to shine on my multiple platforms that I have created over this last year. 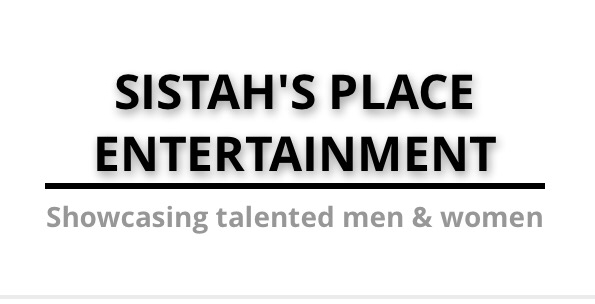 Whether it is on the entertainment showcase at Sistah’s Place Entertainment, at Maya’s Showcase Blog, at Mia’s Relationship Chronicles, at Sistah’s Chronicles, or Sistah’s Pearls of Wisdom . On one of these platforms is where I share my voice and stories of others to serve the community in a positive manner with interviews,real advice, testimony Articles, team Collaborations, Hot relationship tips and topics. And current issues that affect the community. Sharing my talent to put those on another platform, share their gifts, and talent. My purpose is the best self discovery I could have asked God to reveal to me. I am passionate about my writing and helping others shine. My purpose is empowering others to believe in their dreams, motivating them and inspiring them to awaken their purpose and use those gifts planted within. Who am I? A woman blessed with a big heart to serve others. To be a blessing to someone who is chasing their dream as I am. But to be an inspiration to someone to believe in themselves and their dreams. To uplift black men up and speak life into them and over them so that they rise up as the king they were born to be. To motivate and empower women that it’s never to late to finding out who you are and falling in love with the woman that you were born to become. You are a masterpiece designed my the most high. Therefore, you were bound for greatness from the moment your mother conceived you in her womb. I am a woman of many talents who hold a dual MBA in Financial Management and Accounting. I am a writer, a business woman, a masterpiece, and a mother. I am a big dreamer with a big vision. I have goals in place that will make the dreams and bison real. Have I inspired you yet?